Yampa Valley Golf Course boasts year-round activities. In the heart of northwest Colorado lies the Yampa Valley Golf Course. The oldest and most affordable 18-hole facility in the Yampa Valley. 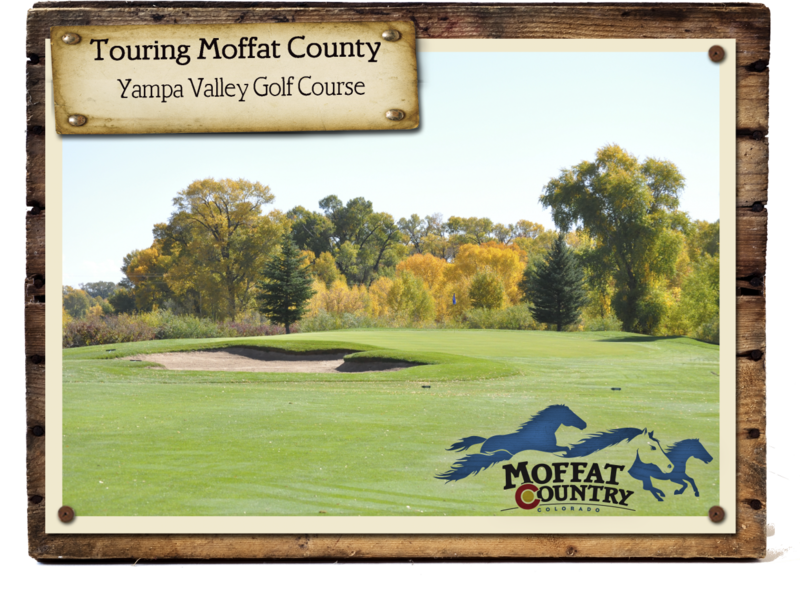 First opened in 1968, the Yampa Valley Golf Course lies beside the lazy Yampa River and plays through and over 240 acres of cottonwoods, wetlands, native grasses and sage. YVGC is a golf course where everyone is welcome and treated like family. You won’t find a better welcome for a golf course! To get there: Drive south on Ranney Street in Craig, across the bridge over the Yampa River and turn left onto Colorado Highway 394. Head east on Colo. 394 approximately 8/10 of a mile to the entrance to the golf course. Carefully follow the winding road just over 1 mile to the clubhouse. Of course the Yampa Valley Golf Course is a great place to play a round of golf, but it is also another one of our hidden gems when it comes to wildlife and bird watching. Eagles nest comfortably amongst the cottonwoods and other birds of prey. Osprey is a common spring and summer sight, diving for fish in the course’s ponds and along the riverbanks. Mule deer, fox and squirrel are common sights as well. You may even have to play through the occasional curious pair of raccoons! The gorgeous Yampa Valley views from the course will make playing through a pleasure. The real treat is the opportunity to enjoy the course year round. Walking the course provides a healthy way to enjoy this little nature oasis just five short minutes from the hustle and bustle of the Craig community. There are groomed cross country skiing and snow shoeing trails around the course in the winter that extend the enjoyment of the course long after the last of the beautiful golden leaves have fallen. Photographers enjoy the abundant chances to catch a beautiful sunrise or sunset, sand hill crane nest, osprey hunt, raccoon antics, and even some flashy dragonflies! All the while, only a few minutes from town. There is a full service restaurant on the property and the Craig-Moffat County Airport is within walking distance if you want to fly in for a round! For more information contact the Moffat County Tourism Association at http://www.visitmoffatcounty.com or 970-824-2335 or 866-332-8436.